Paris is one of the most visited cities in the World. The French capital has an old history, beautiful architecture, great food and it has always been the source of inspiration for painters, writers, and other artists. But to really enjoy this stunning city you need to go beyond its tourist attractions and discover Paris like a local. There is no best time to visit Paris, every season in the City of Light has its own charm. And if the weather is not that nice, there are a lot of interesting museums or indoor things to do in Paris, so you will never be bored there. They are named as Paris 1, Paris 2, Paris 3., and so on. Paris 1 to Paris 8 are the most central but also the most touristy districts, while Paris 9 to Paris 20 have lesser tourist attractions but more local life. 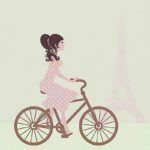 To find the best places to stay in Paris check this Paris by Arrondissement Guide, with the essence of each district. There is no better way to explore Paris than by foot, the city is packed with cobbled streets, nice green areas and some beautiful avenues. If the weather is nice, wear comfortable shoes and walk, walk and walk. Even if you don’t speak French, try to start a conversation with a “bonjour”, it changes everything and we are sure they will try to help you as much as they can. Book your accommodation in Paris in advance, perhaps in a less touristy district, use the city’s public transportation, and avoid drinking your cappuccino (or beer) in front of Notre Dame. These little tricks that can save you lots of money and help you enjoy Paris like a local. We live in Paris 320 days a year and despite exploring it extensively the city still surprises us, we never get enough of it! 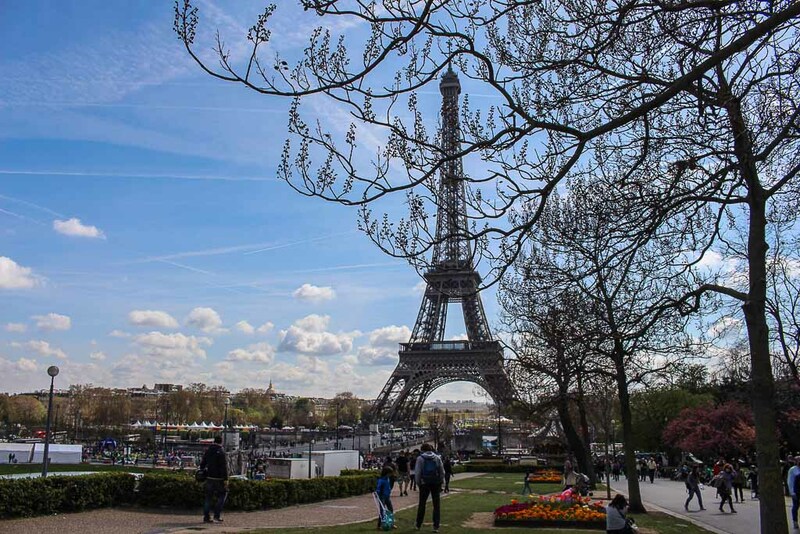 If you are planning a trip to Paris, we suggest visiting Paris top attractions (more on this at the end of the post) but also try to go off the beaten path to get the essence of the city. Because Paris is much more than the Eiffel Tower or Notre Dame, let us give you some advice on how to enjoy Paris like a local. The 13th district of Paris, traditionally a “grey neighborhood”, is today in continuous transformation. Its once characteristic ugly towers or streets without any charm are now highlighted thanks to fantastic street art. 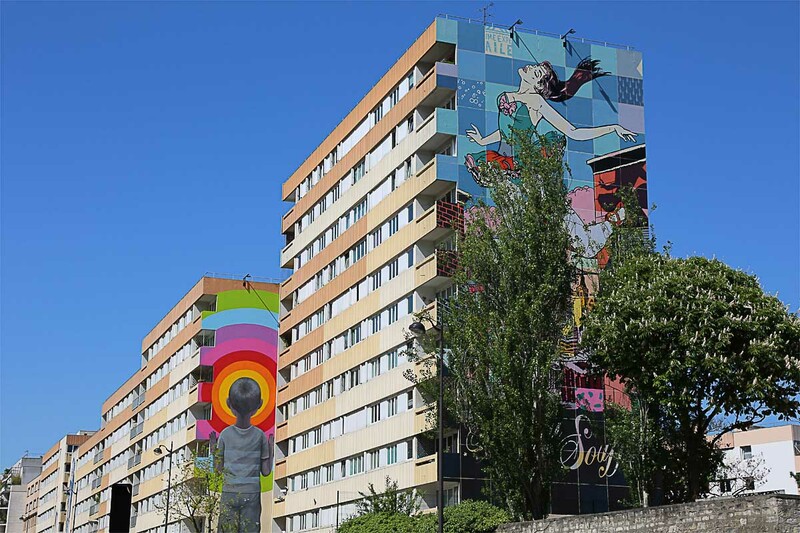 Huge and colorful murals by famous street artists from all over the world have invaded the biggest avenues in Paris 13. Today street art is part of the district’s soul and little by little it is becoming a new attraction for those who want non-touristy things to do in Paris. 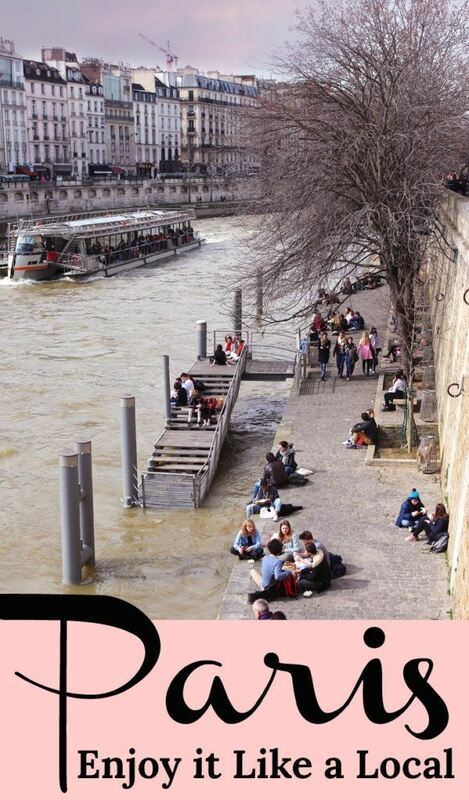 The Seine River is the most beautiful avenue in the city, but if you want to go local in Paris, check the street life along the Parisian Canals. We like watching how the locks adjust the level of water to let the boats pass, the canals are also a great place to stroll, for evening picnics by the banks, play pétanque with friends or have a lazy drink in one of its picturesque cafes. From time to time, when the weather is nice, we like to rent an electric self-drive boat to navigate the Parisian canals in our own way, a truly local thing to do in Paris. Parc Buttes Chaumont is one of the biggest and most original green spaces in Paris and its construction on ancient quarries explains its impressive steepness and change in levels and heights. Parc Buttes Chaumont is located in Paris 19 so unlike some other central parks like Tuileries or Parc du Luxembourg, this is a great place to get a glimpse of local life in Paris. 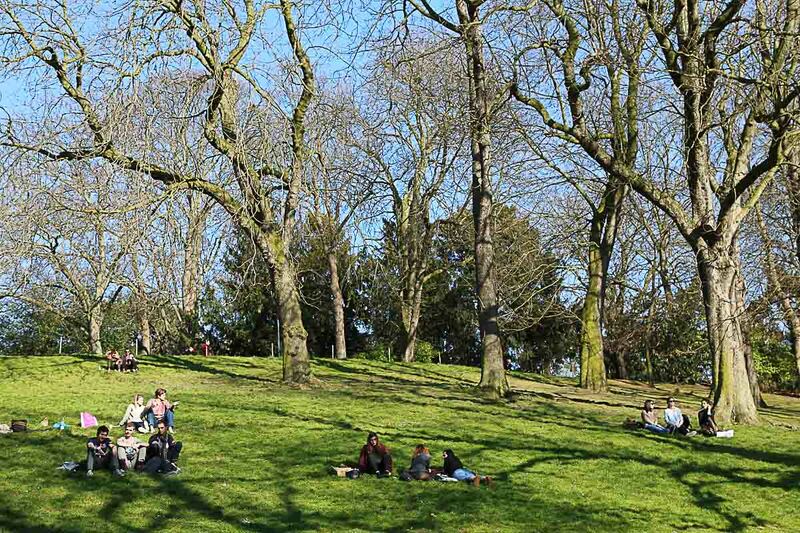 In Parc Buttes Chaumont you can run, have a nice stroll around the lake, enjoy a picnic with friends or just lay on the grass to get some sun on your face. It’s one of the top things to do in Paris with kids, they love the park’s swings, small carousel and traditional Guignol shows (puppet shows). Parc Buttes Chaumont is also our favorite place for jogging, which usually ends with a hot coffee or (if the weather is good) a glass of rosé at Rosa Bonheur. 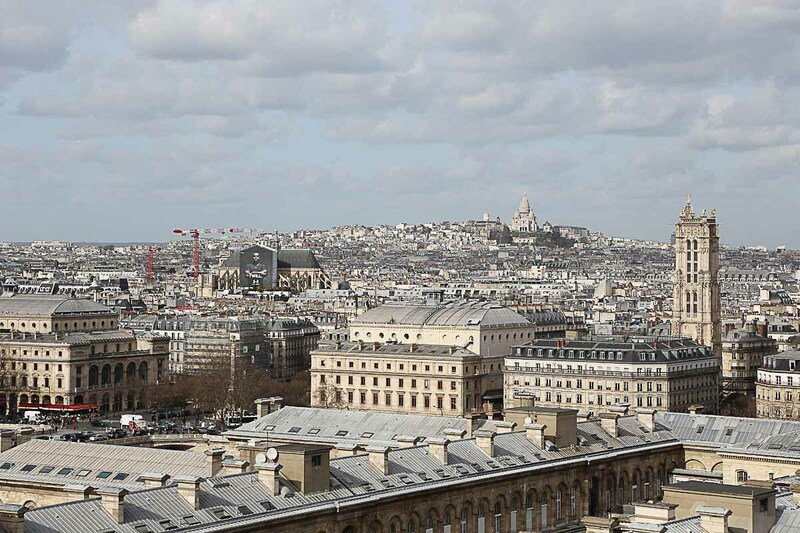 We love to see Paris from the heights, gazing across the lights and landmarks that define the city. There are endless opportunities to have a panoramic view of the City of Lights: climbing the stairs of Paris’ most iconic monuments, drinking our favorite cocktails in fancy rooftop bars, or even flying over the city on a hot air balloon! You don’t need to dine in a Michelin starred restaurant in Paris to appreciate the French cuisine. Local Markets in Paris are a good way to start your exploration and some of them, like Le Marché des Enfants Rouges, have some areas to eat for a few euros. 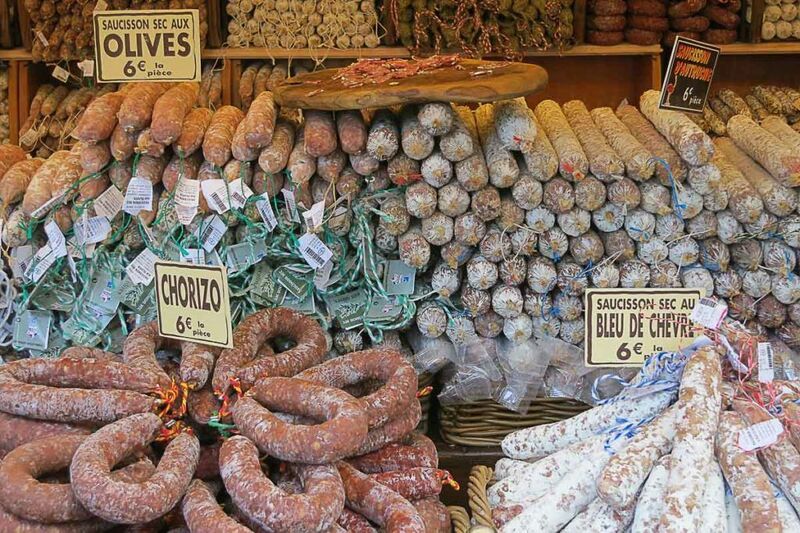 Local food tours and cooking classes are also a great way to learn about the French cuisine and taste some of its dishes. And the guides are always happy to give you some restaurant recommendations where you can eat like a local in Paris. Finally, add a wine tasting tour to your Paris itinerary and learn how to pair your favorite dishes with a good French wine. Louvre Museum – one of the best museums in the world and also one of the biggest! 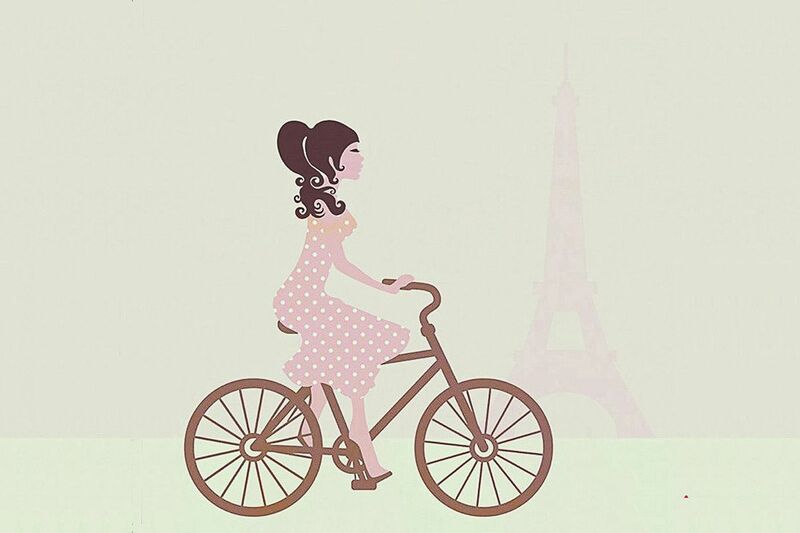 Airbnb can be a good option for a local experience in Paris, sign up here and get up to 30 USD in credits to spend on accommodation in Paris. Need more Paris travel tips? Check out our guide to Romantic Things to do in Paris and How to run the Paris Marathon, the city of Lights is packed with attractions and activities for any type of traveler. Quirky Parisian explorers with a preference for the less known sights, we are continuously looking for new ideas and tips to bring you the best of the City of Light. You can follow her on Facebook and Pinterest. Those are some great tips. I’ve never been to Paris before and I learnt a lot from reading your blog post.